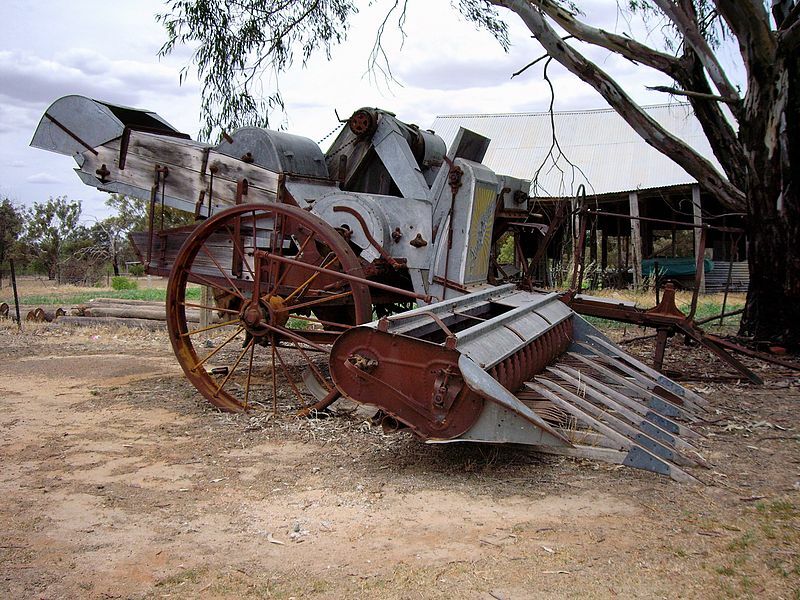 In 1914, a local farmer named Headlie Taylor invented the header harvester which revolutionised the grain industry worldwide when it became commercially available in 1916. The harvester was superior to previous harvesters as it could ‘lift’ the heads of damaged crops and collect grain that would otherwise be lost. It was also more efficient, cutting the wheat heads rather than beating or pulling them off. The new technology was more reliable and compact than the stripper harvester and was manufactured by the McKay Harvesting and Machinery Co of Sunshine, Victoria. The header harvester was of significant economic value for Australia as its huge harvesting capacity aided the trend of bulk handling of wheat in Australia.